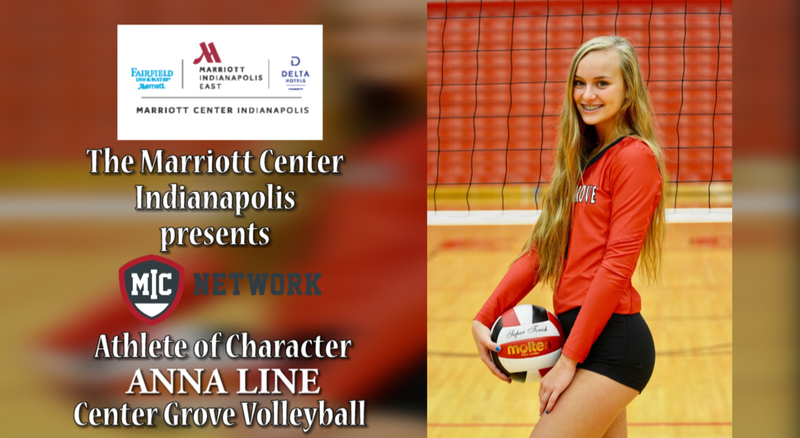 Anna Line of Center Grove is our very first Marriott Center Indianapolis/MIC Network Athlete of Character Award winner. Along with starring on the school’s volleyball team, Anna has a 4.26 grade point average and has gone to Nicaragua on mission trips. A true Athlete of Character!